"Desired outcomes for the world heritage values are not being met." 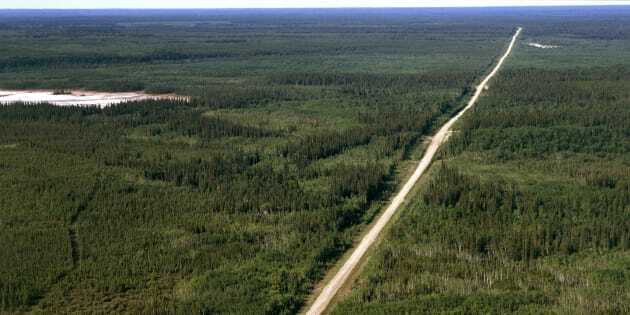 Aerial view of Highway 5 in a segment of Wood Buffalo National Park in the Northwest Territories. "Desired outcomes for the world heritage values are not being met,'' it says. Wood Buffalo covers almost 45,000 square kilometres of grasslands, wetlands and waterways — one of the world's largest inland deltas. Billions of migratory birds from four continental flyways converge there to breed. An aerial view of Fort Chipewyan, Alta., is shown on Sept. 19, 2011. Fort Chipewyan, on the boundary of Wood Buffalo National Park, is home to many members of the Mikisew Cree. It became a World Heritage Site in 1983. But in 2014 the area's Mikisew Cree filed a complaint to UNESCO that Wood Buffalo's environmental values were being degraded. Both Canada and Alberta have made submissions to UNESCO. The agency has meetings this week in Bahrain that are being attended by representatives of two First Nations who expressed concern about the park. "Flow rates in the Peace River have become less variable due to flow regulation on the river and (past) climate change, resulting in decreased summer flows and increased winter flows,'' it says. "Alberta is actively exploring the inclusion of traditional knowledge into land-use planning, environmental monitoring and assessments, wildlife conservation, protected areas, and decision-making ... in collaboration with Indigenous Peoples,'' it says.